Jane Johnson has been with the Microbiologics Technical Support Team since March 2015. 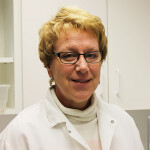 Jane has 23 years of experience working in food microbiology as well as previous experience in medical and clinical microbiology. In addition to this experience, Jane previously worked for Microbiologics in Quality Control and Customer/Technical Support. Jane carries a degree in medical technology from the Medical Institute of Minnesota.